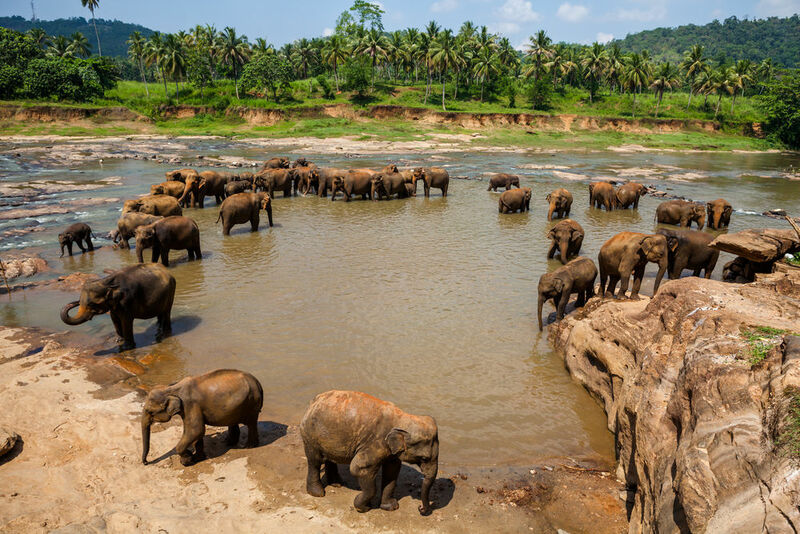 Endless beaches, friendly people, delicious food, stunning landscapes and amazing wildlife can all be found on the idyllic island of Sri Lanka. 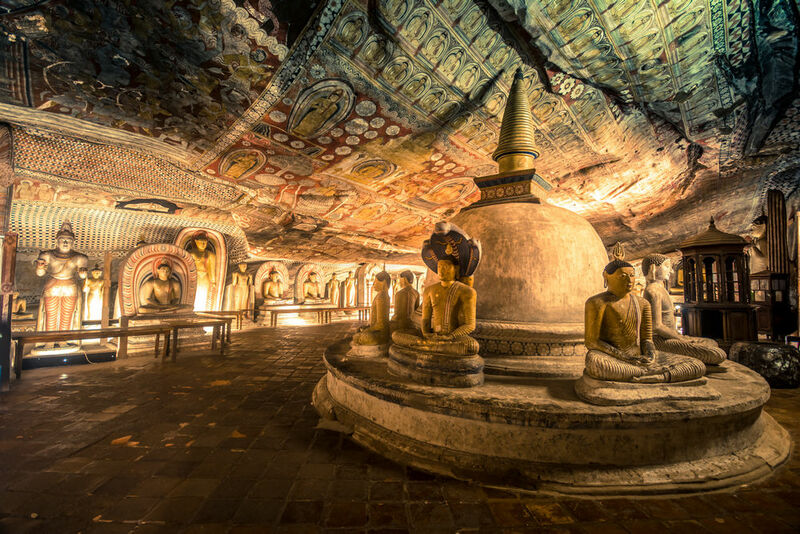 This paradise is home to no fewer than eight of the world’s UNESCO World Heritage Sites, and more than 2000 years of culture have shaped Sri Lanka into a completely unforgettable destination for travellers. 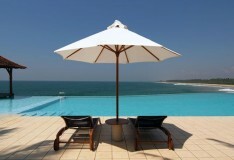 Thankfully, Sri Lanka is affordable and easy to navigate, so the opportunity to see as much as possible isn’t a problem. 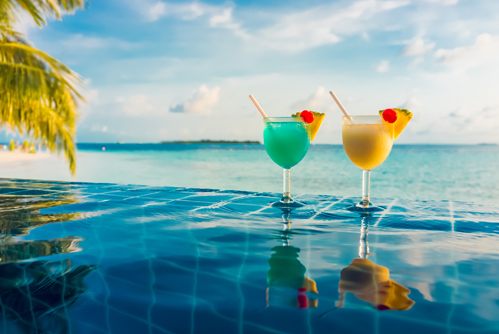 However, if you really had to narrow it down to just a few must-see experiences, here are a few things that you really shouldn’t miss. 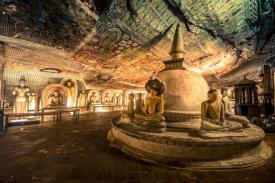 The Golden Temple of Dambulla is a World Heritage Site approximately 70km north of Kandy, and is the largest and best preserved cave temple complex in Sri Lanka. There are five main caves in this jaw-dropping complex, which house countless relics, such as statues of the Hindu gods Vishnu and Ganesh, as well as wall paintings and some incredible murals that span 2000 square metres. Be sure to keep an eye out for the monkeys that roam the top of the cave. 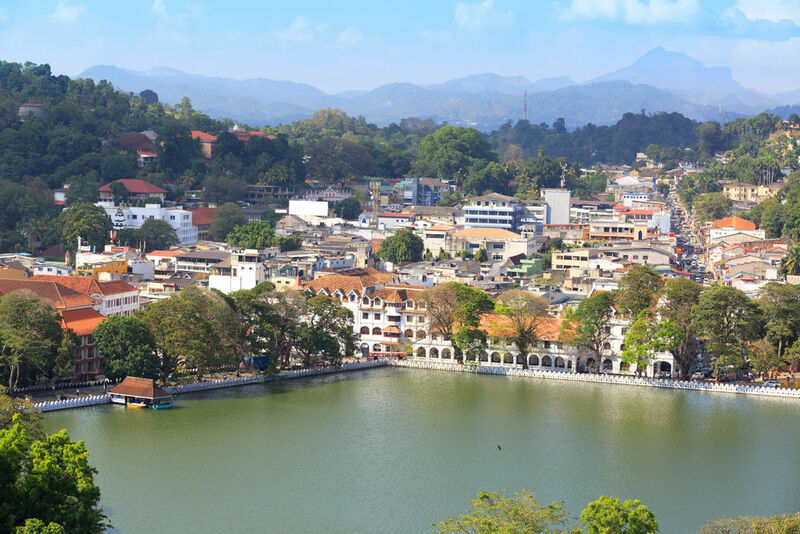 Kandy was Sri Lanka’s last capital in the time that the ancient kings ruled the island, and is surrounded by sweeping hills that draw the eye to the magnificent lake that the city envelops. 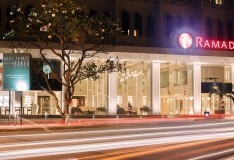 Visiting here makes for a more relaxed experience in contrast to the bright lights and fast tempo of Sri Lanka’s other main city of Colombo. The temperature is milder in Kandy, making it the perfect place to take a walk. 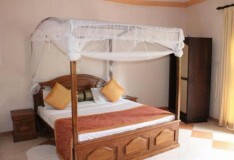 Highlights of a visit include a stroll around Garrison Cemetery or a visit to the surrounding jungle, where you’ll find a great deal of wildlife - including monkeys - clinging to the canopy. There’s plenty to see and do in Kandy, including a visit to the Temple of the Tooth, which is one of the most treasured Buddhist sites in the world. In July and August, the Esala Perahera festival comes alive, with a parade featuring traditional fire and whip dances, and lavishly adorned elephants. 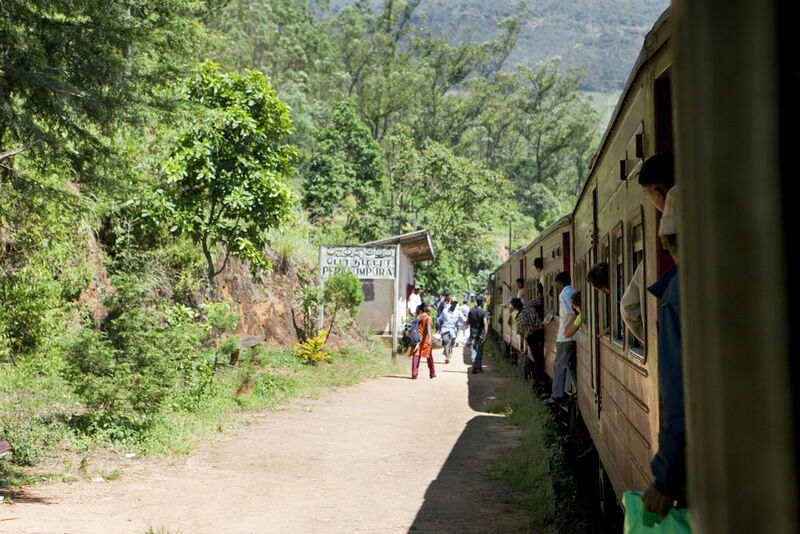 From Kandy, the train ride to the nearby city of Colombo is an unforgettable experience. Considered to be one of the world’s most picturesque train rides, the scenic views of the mountainous areas and tea plantations will definitely make an impression. Riding the rail network anywhere in Sri Lanka is one of the easiest (not to mention the cheapest) ways to see lots of the island. Pettah is one of the most famous neighbourhoods in Colombo, and the helter-skelter bazaar is unlike anything else in Sri Lanka. Pettah Market on Main Street is one of the most important trading centres in Colombo, and sells all manner of merchandise from textiles and ornaments, to spices and fish. 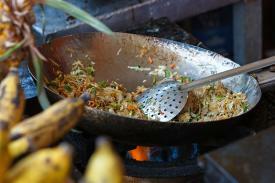 This vibrant bazaar is utterly chaotic, but is truly an experience that shouldn’t be missed. Once a major trading post on the spice trade route, Galle shifted hands between the Dutch and the English throughout its history, resulting in interesting architecture that’s unique to the town. 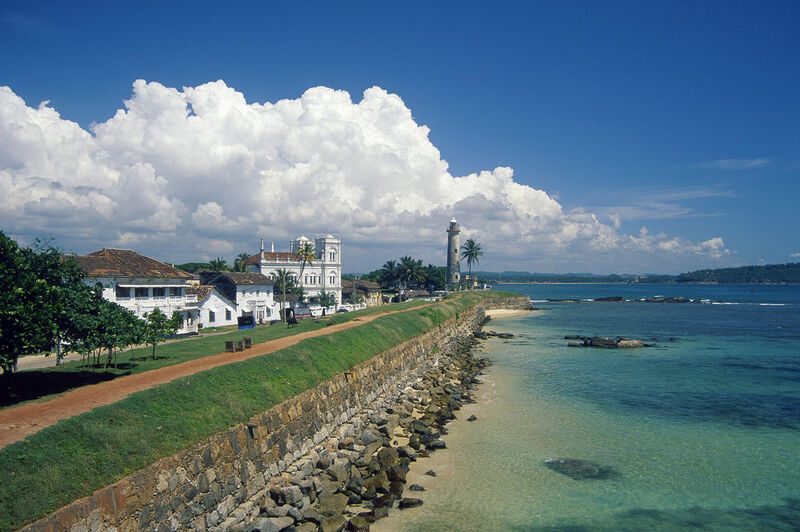 The quaint colonial streets of Galle feature old warehouses, boutique shops and beautiful homes, and a simple stroll is a pleasure in itself. 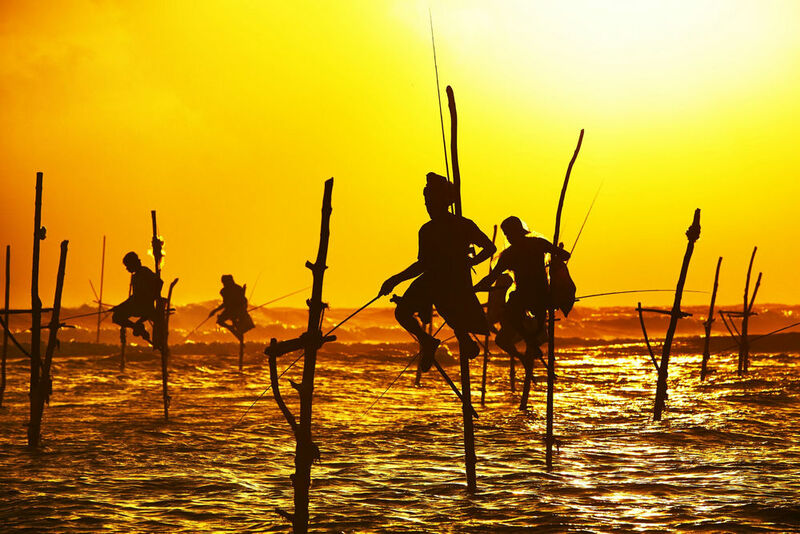 End the day by taking a walk around Old Town and the fort walls, whilst there you could visit the Maritime Museum, and then finally, watch the stilt fishermen at work as the sun sets over the sea. 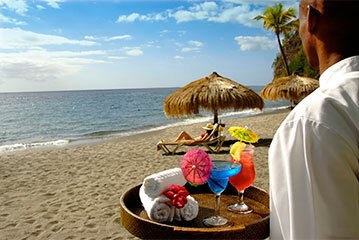 The entire island of Sri Lanka is surrounded by blue crystal clear ocean, so it has its fair share of beaches. 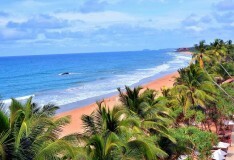 Beaches such as Arugam Bay and Bentota are lined with picture-perfect scenes of coconut trees and white sands, offering the tranquillity and relaxation you’d expect from a tropical paradise. 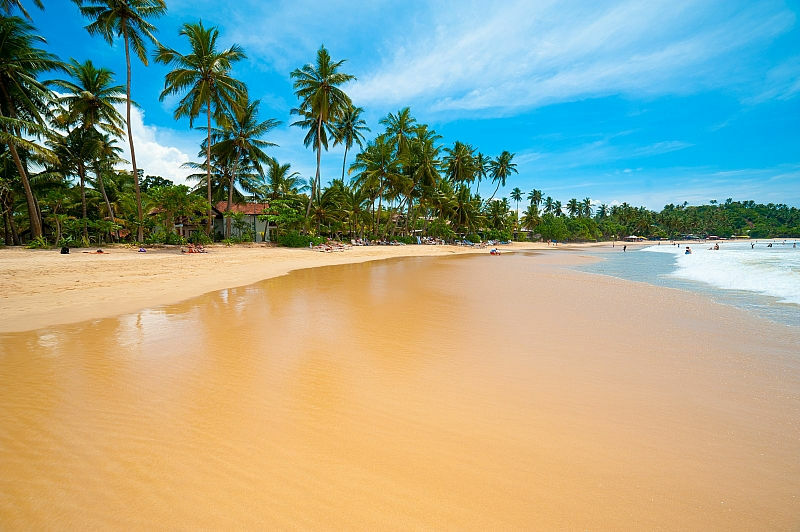 The unspoilt Mirissa beach along the south coast is worthy of particular mention, because asides from the toppling palms and pristine sand, this intimate beach is renowned for whale watching. Take a boat ride from here and you can catch a glimpse of blue whales and dolphins in their natural environment, which makes for an unforgettable experience. 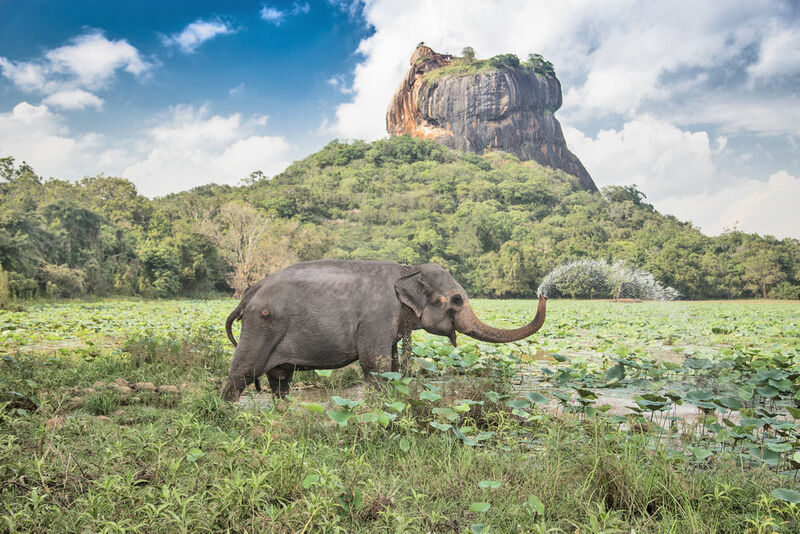 No trip to Sri Lanka is complete without a visit to the ancient palace of Sigiriya. This incredible place was built in to a vast column of rock (known as the ‘Lion’s Rock’) by King Kassapa some 1700 years ago. The trip to the summit is by no means an easy one, but along the way you’ll see the colossal pair of lion’s paws carved in the rock, and the surrounding landscape of lily covered moats and water gardens is well worth exploring. In Hill Country to the south of Sri Lanka, the imposing sight of Adam’s Peak has inspired pilgrimage for more than a thousand years. Named as such as it was believed to be the site of where Adam first set foot on earth after being cast out of the Garden of Eden, and if you can face the trek, the views from the top are simply breath-taking. Established in 1975, the Pinnawela Elephant Orphanage originally set out to provide care and shelter for orphaned baby elephants that were found in the wild. Since then, the organisation has grown to house 3 generations of elephants, and the work being done continues to maintain a safe environment for these majestic animals. Visitors can come and see the elephants, with the best time being around 9 in the morning when they are being fed. Afterwards the elephants make their way to the water, and it’s amazing to see them splashing around and playing. 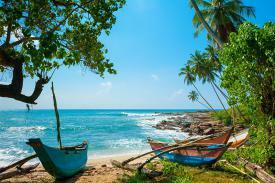 That pretty much wraps up our guide for the must sees of Sri Lanka, but in reality there is so much more. It’s worth mentioning Yala National Park as a place to visit in order to see wildlife and wonderful landscape, as well as the colourful night ceremonies held at the sacred site of Kataragame. 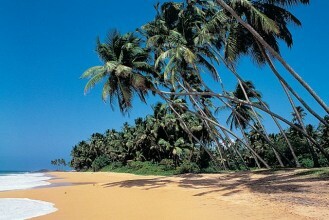 There really is just so much to Sri Lanka, and a trip here offers both relaxation and exploration. 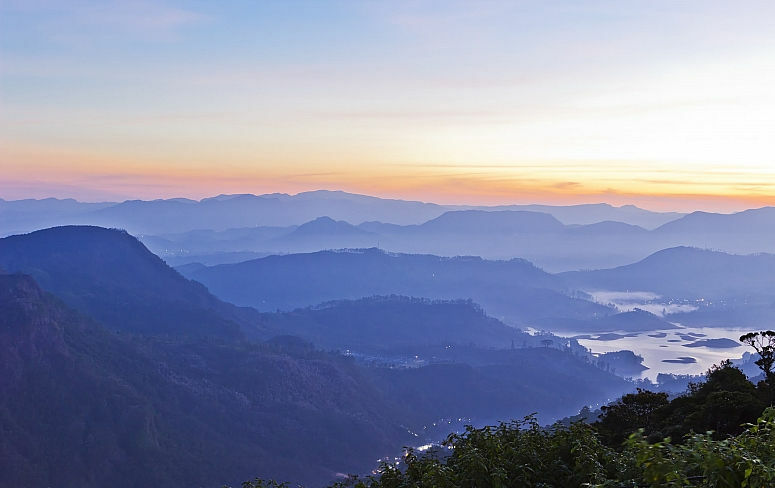 The range of landscapes, cultural sites and history is perfectly complimented by the friendly locals and pleasing climate, so why not plan a trip to Sri Lanka this year?